The National Association of Tower Erectors (NATE) announced today that Board of Directors’ members Jimmy Miller, John Paul (JP) Jones and Kevin Dougherty were elected to serve on the Association’s Executive Committee for the upcoming year. 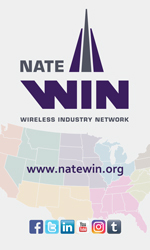 The Association made the announcement on the first day of the NATE UNITE 2019 Conference and Trade Show in Grapevine, Tex. Jimmy Miller, President and CEO of MillerCo, Inc. in Gulfport, Miss., was elected to serve in the position of Chairman of the Board of Directors. Miller becomes the seventh Chairman in NATE’s twenty-four year history as an organization. Miller has served on the NATE Board of Directors for eight years. Miller is also a member of the Legislative & Regulatory Committee, Financial Investment Committee and is an active participant on the Association’s Unmanned Aerial Systems (UAS) Committee, where he served as the first Chairman. John Paul (JP) Jones, President of Tower & Turbine Technologies LLC in Cedar Park, Tex., was elected to serve in the position of Vice Chairman of the Board of Directors. Jones has served on the NATE Board of Directors for five years. Jones also currently serves as the Chairman of the OSHA Relations Committee, as a member of the Legislative & Regulatory Committee and is active on the UAS Committee. Kevin Dougherty, CEO of Millennia Contracting, Inc. in New Castle, Del., was re-elected to serve in the position of Secretary/Treasurer on the Executive Committee. Dougherty has been a member of the NATE Board of Directors for three years and has fulfilled a variety of other leadership roles during his tenure with NATE, including service on the OSHA Relations Committee, STAR Initiative Ad-Hoc Committee and Workforce Development Group. “I would like to congratulate Jimmy, JP and Kevin on being elected by their colleagues on the NATE Board of Directors to serve on the Executive Committee,” stated Chief Operating Officer Paula Nurnberg. “NATE continues to grow and evolve as an organization and the Association’s leadership is doing an incredible job presiding over very exciting and innovative times in the industry,” added Nurnberg. 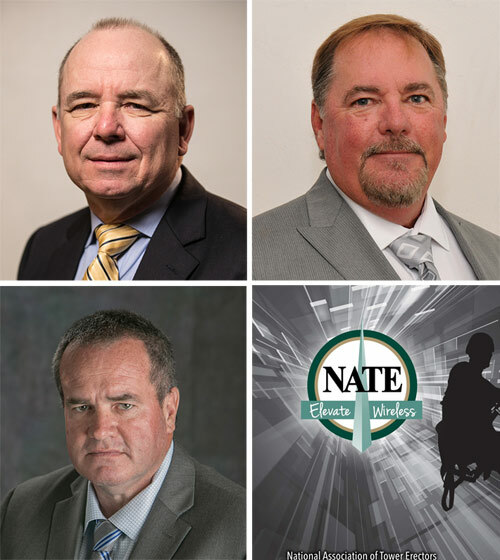 NATE also plans to formally honor departing Board members Jim Tracy and Jim Miller for their leadership and years of service to the Association during the NATE UNITE 2019 Awards Luncheon on Wed., Feb.6.